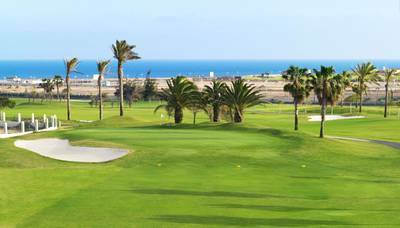 Salinas de Antigua in Fuerteventura it is an 18-hole par 70 links-style parkland golf course designed by two-time world champion Manuel Piñero. 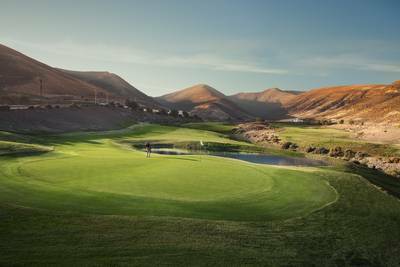 It is a new, fun course comprised of mounds, dunes, desert and four lakes. 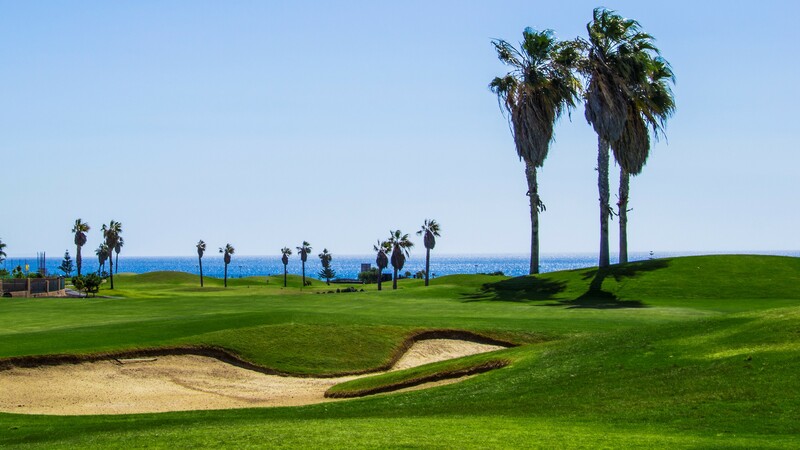 Countless hills, bunkers and desert areas, which are really attractive and endearing. All these elements pose endless possibilities, approaches, solutions and strategies of play, aggressive or calm. Either choice will depend on you, and how to advance your game, and your mood. Along the route, you will find 4 large lakes that protect all or some of our 6 greens. 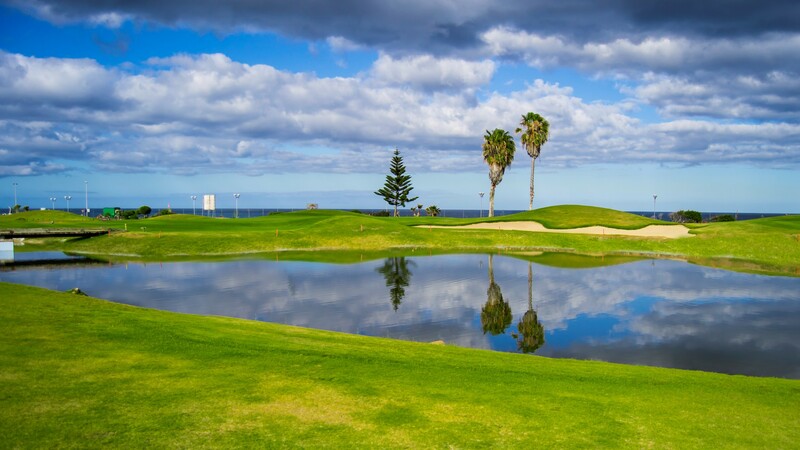 Besides the difficulty they pose, lakes act as large reservoirs, where we store the water that we generate in our own desalination plant, intended for watering the course during night time. As for the greens, these are simply spectacular. Large, fast, firm and slow in receiving the ball. 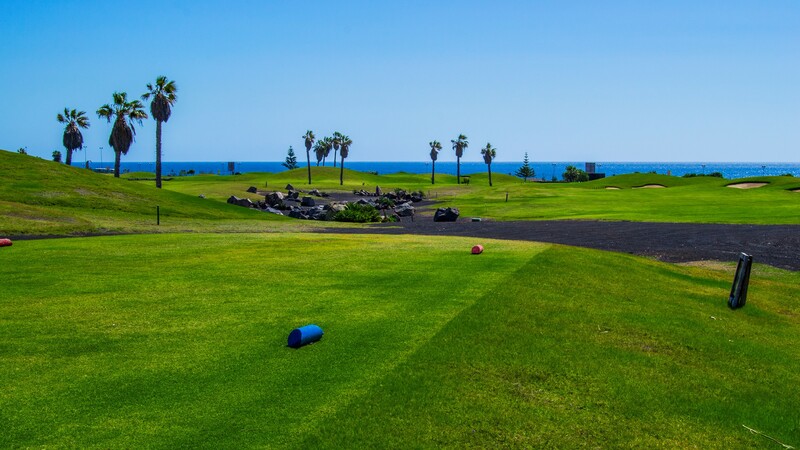 There a few greens in the Canary Islands that have this. A great treat for golfers.